Description Everything you need for the perfect brow & lash look! Get over 30% discount on this special WUNDER2 Perfect Brow & Lash Combo. 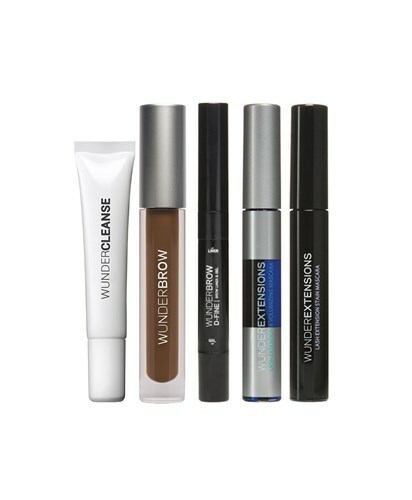 Get one each of WUNDERBROW, WUNDERCLEANSE, WUNDERBROW D-FINE, WUNDEREXTENSIONS STAIN MASCARA & WUNDEREXTENSIONS VOLUMISING MASCARA!